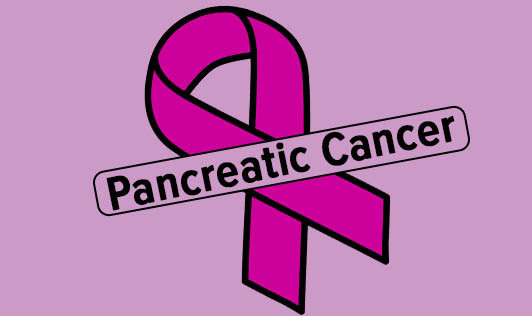 Pancreatic cancer begins in the tissues of one's pancreas-an organ in the abdomen that lies horizontally behind the lower part of the stomach. The pancreas secretes enzymes that aid digestion and hormones that help in regulating the metabolism of sugars. Pancreatic cancers occur when the cells in the pancreas develop mutations in their DNA. These mutations cause the cells to grow uncontrollably and continue living after normal cells would die.These accumulating cells then form a cancer. Although there's no way to prevent this condition, you can reduce your risk of developing pancreatic cancer by maintaining a healthy weight, eating healthy and avoid smoking. Seek medical help if you experience unexplained weight loss, abdominal pain or any other symptoms that bother you!